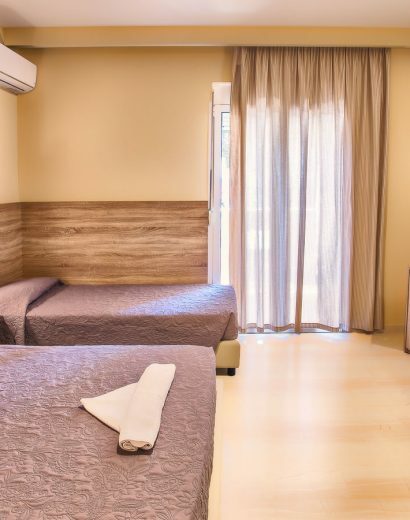 Perfectly located near Heraklion International Airport “Nikos Kazantzakis” and just a short stroll from Heraklion’s best icons, the Centre, the Heraklion Harbor, Knossos antiquities, the museum’s, and only 5 minutes from wonderful beaches. 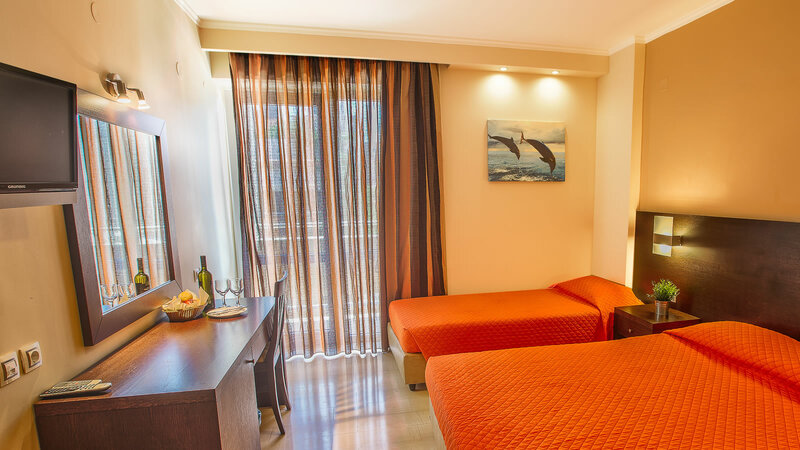 Sofia Hotel offers spacious guest rooms to choose from, also offer the possibility of enjoying a rich breakfast buffet on the splendid outdoor terrace where guests may continue to enjoy frequent sunny days and mild temperature, even during the winter months. 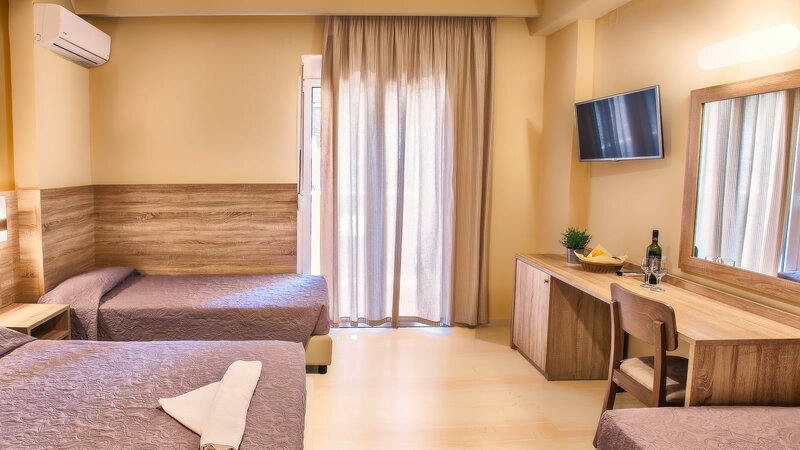 Whether you visit Heraklion for business or for pleasure, in the Sofia Hotel the warm and personal service is sure to make your stay a delight. 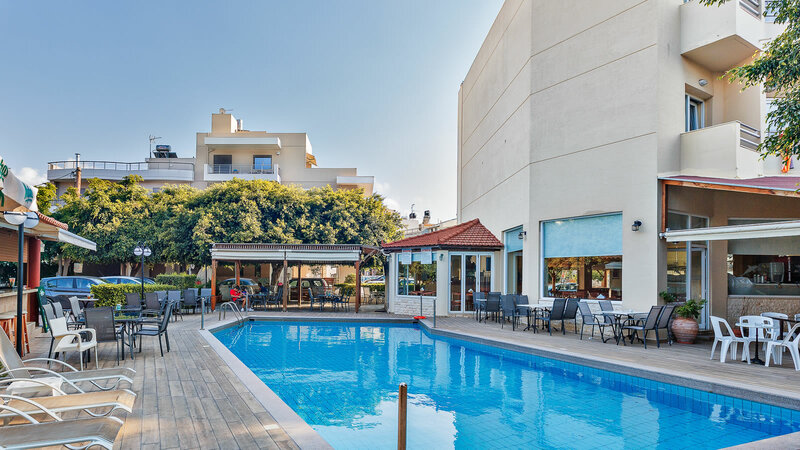 Less than 5 minutes bus ride from Heraklion centre in Crete, Sofia hotel offers a free parking, seasonal swimming pool and a seasonal restaurant. 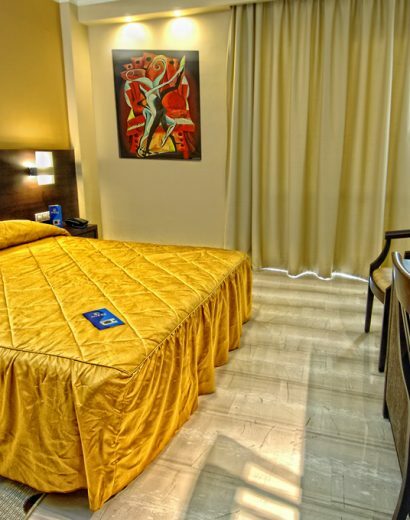 It serves breakfast and features rooms with free WiFi and a balcony. 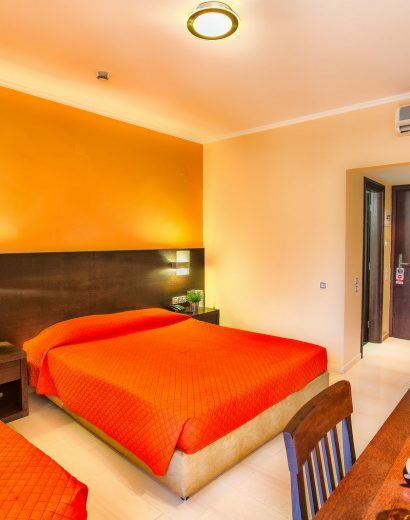 Spacious, bright and outward facing rooms measuring 18 m2, The room comes with double bed or twin beds. 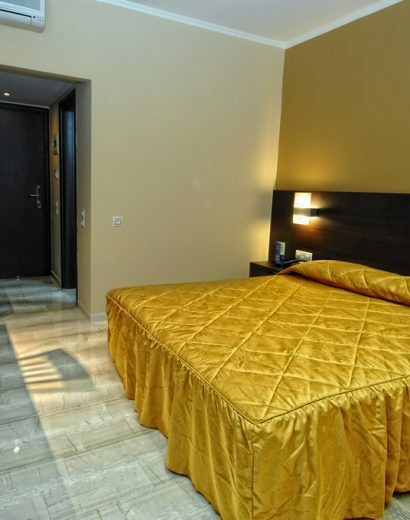 Spacious, bright and outward facing rooms measuring 19 m2, The room comes with Double plus one single bed. 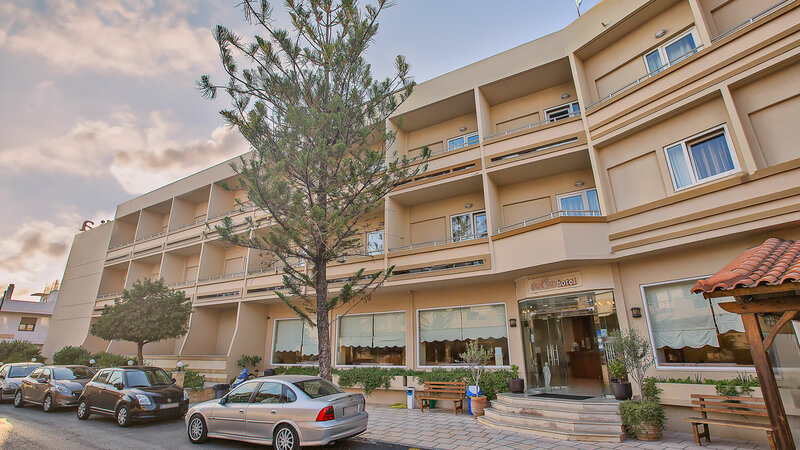 Spacious, bright and outward facing rooms measuring 19 m2, comes with Double plus one single bed.